You will want a transmission check if your car struggles to change gears. Whether you drive an automatic or manual vehicle, you won’t make it far if your transmission isn’t working properly. Transmission repair can often be one of the most frustrating problems for any vehicle because it affects the way that you change gears. At Forsyth Auto Care, we always recommend seeing our experienced car mechanics for transmission repair when you begin experiencing a problem with the way your car shifts gears up or down. Signs of the need for a transmission check include grinding from one gear to another, slipping gears during a normal shift, or an inability to move from one gear to another at all. Sometimes a need for transmission repair isn’t immediately apparent, so it’s important to know when to bring your car in to the mechanic. For example, if you’ve noticed that the clutch in your manual transmission vehicle doesn’t seem to catch the same or it’s harder to shift than normal, you should bring your car into the shop. For automatic transmissions, you will want a transmission check if your car struggles to change gears when adjusting for changes in ascending or descending hills, or when you are going from stopped to moving. The good news is that we can diagnose any problems under the hood and provide full transmission repair on your vehicle. We’ll do our best to provide fast, efficient solutions at a fair and honest price. We’ll also get to know you as our valued customer, so you don’t feel like a number, but a part of our car care family. 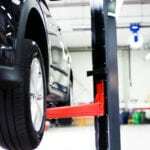 Have an auto repair question? Give us a call at Forsyth Auto Care or stop by today!